I am leaving for vacation today so I thought that now would be the perfect opportunity to show you what I take with me when I go on trips! Enjoy! The big pink and white patterned Scout bag is my “luggage”. I’m not a fan of regular luggage and this bag is at least 3x bigger! Scout products are really great and good quality! You can check them out here. 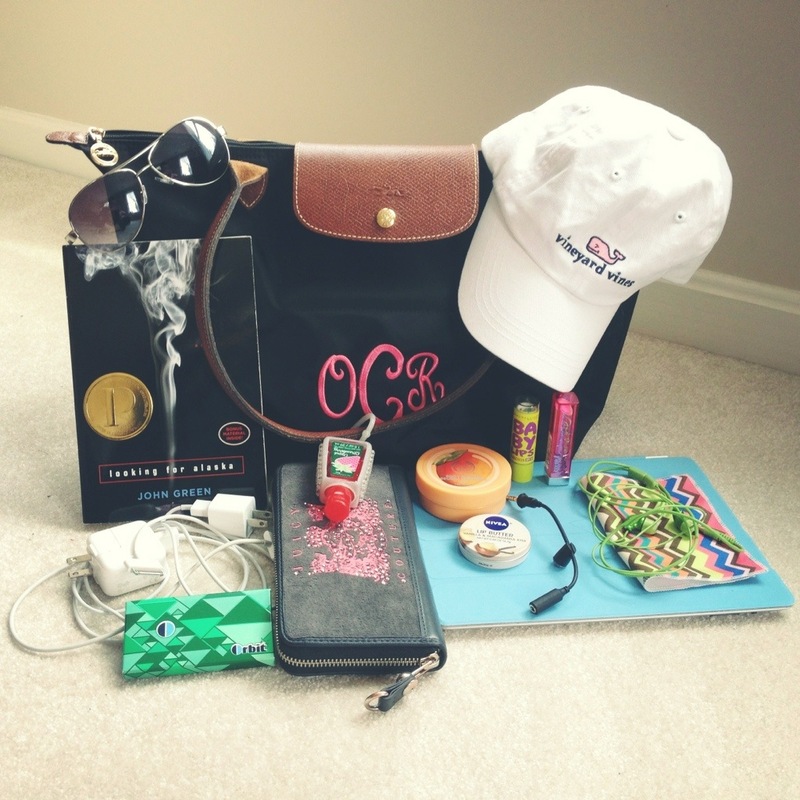 The smaller black bag with my monogram on it is a Longchamp. This serves as my purse/car bag. 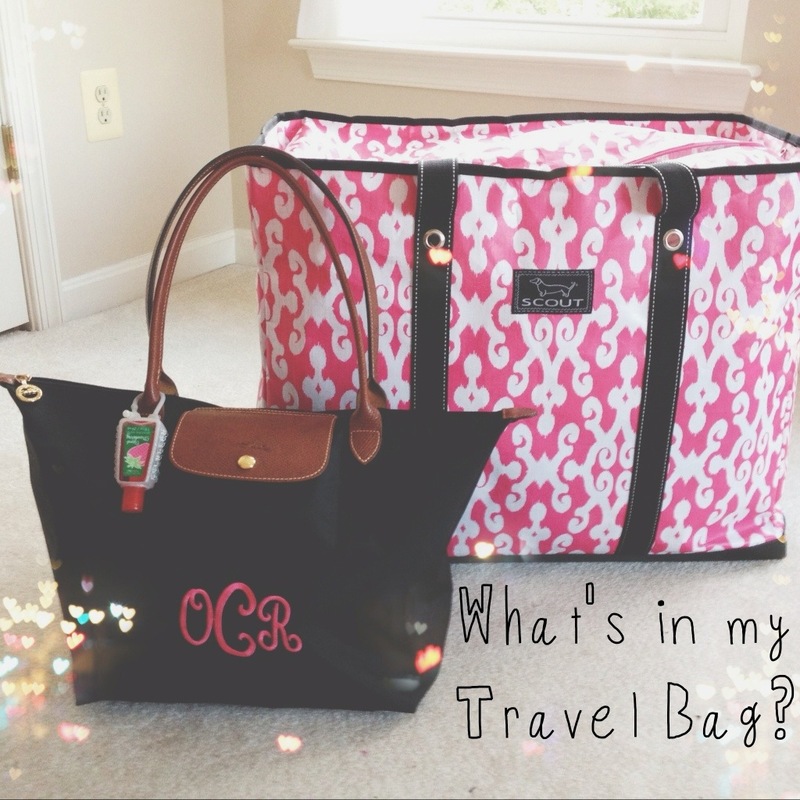 All my traveling essentials are in it! Lets delve in and find out what’s inside it!